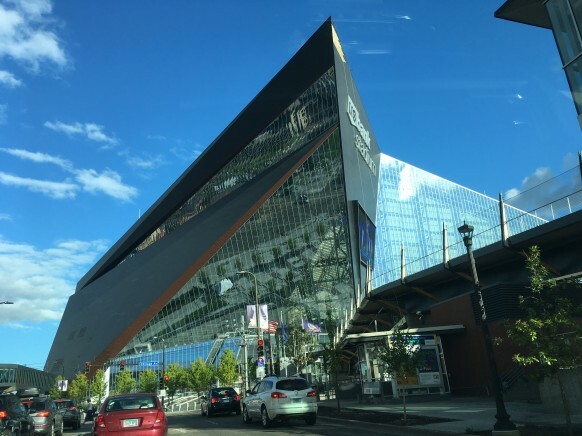 When taxpayers from Minneapolis and the state of Minnesota contributed $498 million of the $1.027 Billion to build US Bank Stadium, they envisioned days like Sunday, when the stadium will be the location of Super Bowl LII (52). However, the 66,665 fans in attendance and a worldwide television audience will not be the only ones watching the action on the field, tax authorities from the State of Minnesota will also be paying attention. NFL players are paid their contracted salary through the regular season plus an additional postseason bonus for every game played beyond the regular season. Professional athletes must pay state taxes on the portion of their salary earned in every state they play. Often referred to as ‘Jock Taxes,’ this tax is paid in addition to the taxes they will owe in their state of residency. Athletes then can take taxes paid to other states as a credit in their state of residence. Hosting the Super Bowl will be lucrative for the state of Minnesota. Not only are they going to benefit from the tourism the Super Bowl will bring but they also benefit from the income tax they will impose on the players involved in Sunday’s game. Since those playing in Sunday’s game are contractually obligated to play for their team, the State of Minnesota can allocate not only their bonus for the game but their entire 2018 salary into the state’s apportionment formula. From the 92 players participating in Sunday’s game, plus other inactive players on the sidelines, the State of Minnesota will generate over $1,299,364 should the Eagles win and $1,298,374 should the Patriots win in additional tax revenue. This isn’t the first time a host state saw big payouts from hosting the Super Bowl. Two years ago when the Super Bowl was held in California, where the top tax bracket is 13.3%, the state collected an additional $1,797,230 in `jock tax` revenue when the Denver Broncos defeated the Carolina Panthers. To be noted is that hosting the Super Bowl is proving to be more lucrative than having your states home team go to the Super Bowl. Although Minnesota will collect nearly $1.3 million in additional jock tax, the players will receive a state tax credit from their resident states. Since both Massachusetts and Pennsylvania’s tax rate is below that of Minnesota’s the credit is limited. The result is that Minnesota’s gain in tax revenue is split between the player’s additional ‘jock tax’ and their resident state’s credit and loss in tax revenue. The previous section discussed the overall tax liability at the team level caused by playing this year’s Super Bowl in Minnesota, but what is the effect on individual players? With a Salary of $14 million and an additional $8 million in expected bonuses, Tom Brady’s $22 million income makes him the highest paid player participating in this year’s Super Bowl. The table below shows how Tom Brady will be impacted by playing in the Super Bowl in Minnesota. The interesting result of allocating Tom Brady’s entire 2018 salary into Minnesota is that the tax rate of 9.85% is greatly inflated. Rather than paying only the 9.85% on either the winner ($112,000) or loser’s ($56,000) share of the Super Bowl bonus, Brady’s Minnesota tax rate balloons to 70.06% on the winning share and an astronomical 139.76% tax rate should he lose. The good news is that as a Massachusetts resident he can claim a Massachusetts credit for taxes paid to Minnesota up to his Massachusetts rate of 5.1%. Therefore, the actual ‘jock tax’ paid by Brady will be $43,551 or 38.89% should the Patriots win and $40,599 or 72.5% should they lose. The `jock tax` calculation in the table is the difference in total tax Brady will pay from playing in the Super Bowl minus the total tax had he not played in the Super Bowl. Since each player’s entire compensation is allocated into Minnesota, the level of compensation dictates the amount of income that would be allocated into the state. Therefore, the seven players on the Patriots roster who make the league minimum of $550,000 in 2018 will pay only $2,638 to Minnesota while receiving a credit of $1,366 from Massachusetts should the Patriots win on Sunday. It should be noted that the players will pay the Minnesota ‘jock tax’ regardless of the team that employs them in 2018. They would then receive a credit in their new state of residence. Until now, Tom Brady has been fortunate to play in Super Bowls in low or income tax free states. Prior to this year, the only state Brady played in where the state tax was higher than his resident state of Massachusetts was his first Super Bowl in New Orleans after the 2001 regular season (played in 2002). Louisiana’s top income tax rate was 6% at the time versus Massachusetts’s 5.6%. However, due to Louisiana’s tiered tax bracket compared to Massachusetts’ flat tax rate, Brady’s tax liability was actually higher in Massachusetts than Louisiana. Below is a chart showing all of Brady’s Super Bowl appearances, their locations, that state’s income tax rate, the salary allocation, and the state tax Brady paid for these appearances. It should be noted that in all cases except when he played in Minnesota, the amount shown is the Massachusetts resident tax Brady would have had to pay. Win or lose, the additional ‘Jock Tax’ Tom Brady pays this year will be the greatest amount he has needed to pay in comparison to his previous seven trips to the Super Bowl. As the above analysis shows, state tax issues for professional athletes can be confusing and potentially costly. Although Tom Brady represents the most extreme case, all players playing in Sunday’s game will face a similar tax scenario. As well as being liable for Minnesota and Massachusetts tax, players need to allocate their income into each state and city jurisdiction in which they play. With 20 of the 24 states in which professional athletes play implementing their own version of the ‘jock tax’, it is important to have professional guidance from an individual who specializes in understanding all the unique issues that face professional athletes. Kyle Stich is the Director of AFP Analytics. In addition, Mr. Stich is a tax specialist and business consultant at AFP Consulting LLC, whose clientele include professional athletes performing services on three separate continents. Mr. Stich earned his Master of Science in Sport Management with a Concentration in Sport Analytics from Columbia University in 2017. He earned his undergraduate degrees in Accounting and Sport Management from St. John Fisher College in 2015, where he currently serves as an adjunct professor teaching Sport Finance and Baseball Analytics.